Robert L. Strauss has been a Peace Corps Country Director, recruiter, consultant, and Volunteer. Earlier this year Strauss wrote an op-ed for the New York Times asserting that "Too often young volunteers lack the maturity and professional experience to be effective development workers in the 21st century." Now Strauss has a longer piece in "Foreign Affairs" that says that the Peace Corps has "never lived up to its purpose or principles." 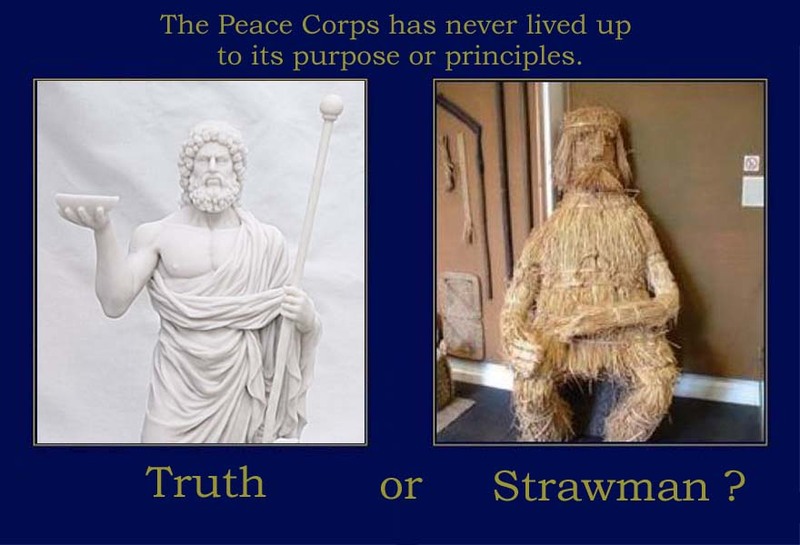 Read and comment on the seven myths about the Peace Corps that Strauss refutes. In the eyes of Americans, no government agency better exemplifies the optimism, can-do spirit, and selfless nature of the United States than the Peace Corps. Unfortunately, it’s never lived up to its purpose or principles. No. With diplomats stuck inside barricaded compounds or loath to venture from expatriate residential ghettos, a Peace Corps volunteer is likely to be the only representative of the U.S. government that poor, rural populations ever see. As the State Department cuts back on its public diplomacy and cultural exchange programs, the Peace Corps’ predominantly young volunteers wind up carrying more and more of the responsibility for demonstrating that the United States still has good intentions abroad. That puts the Peace Corps and its volunteers in an awkward position. The Peace Corps was created as a separate, independent agency so that it would not be subject to short-term foreign-policy objectives. Volunteers aren’t trained or expected to represent the U.S. government, its positions, or its interests. When the Peace Corps is characterized as an effective diplomatic weapon, it is thanks to the goodwill that volunteers generate toward the American people, not toward official U.S. policy. Unfortunately, of the tens of millions of people with whom Peace Corps volunteers have interacted during the last 47 years, many have no idea what the Peace Corps is. Few have any idea that the Peace Corps is a U.S. government agency funded 100 percent by American taxpayers. On the plus side, over my five years as a country director in Cameroon, hundreds of villagers and officials told me how happy they were simply to have volunteers in their communities. Less encouraging is that just as often, I was told how fondly they remembered the Peace Corps volunteer from Rome, Paris, or Tokyo. It’s tough to be an effective diplomatic weapon and build goodwill among nations if people don’t understand what nation you came from in the first place. False. The Peace Corps learned how to recruit by emulating traditional fishermen in developing countries—toss a large net and hope for the best. For decades, this system has been notoriously ineffective, sending Spanish speakers to Arabic-speaking North Africa and offering the rare, farm-raised, French-speaking applicant a job teaching English in Mongolia. The Peace Corps claims that about 1 in 3 applicants eventually becomes a volunteer, implying that the agency is about as selective as many “elite” schools in the United States. Not long ago, the figure commonly cited was 1 in 7. Either way, the truth is that so long as applicants meet the minimum standards and are healthy and persistent, the Peace Corps rarely rejects them outright. Each group sent overseas includes a few highly motivated and capable individuals—and then there are the vast majority who before joining the Peace Corps weren’t sure what to do with their lives, were fresh out of school and seeking a government-subsidized travel experience or something to bolster their résumé, or for whom the Peace Corps represented a chance to escape a humdrum life or recent divorce. Once overseas, the chances of being kicked out are slim. I queried my fellow country directors in Africa to find out how many trainees they had sent packing due to unacceptable performance. The figure was less than 2 percent a year, meaning that once accepted, an individual—qualified or not, motivated or not—is pretty much assured of sticking around. Unfortunately, the Peace Corps’ failure to recruit the best isn’t limited to volunteers. Few agencies rival the Peace Corps for the percentage of political appointees filling mission-critical positions. Hardly the sexiest of sinecures, the Peace Corps’ 29 political appointments tend to be lower-level politicians, third-tier party loyalists, the relatives of elected officials, or minor political underlings who get “parked” at the Peace Corps. Rarely. Like many bureaucracies, the Peace Corps operates predominantly on inertia. The agency sends most volunteers to the same places where volunteers have been sent before, often to do the same thing volunteers were doing 20 and 30 years ago—regardless of whether their mission still makes sense. Reviewing the most recent U.N. Human Development Report shows that the Peace Corps is active in 10 countries with “high human development,” 49 with “medium human development,” and 11 with “low human development.” With so few resources to achieve its goals, one wonders why the Peace Corps hasn’t concentrated what little it has on the world’s poorest countries, where the need is likely greatest. Granted, half a dozen of those places are either so unstable or dangerous that there’s little hope of achieving much. But even if the Peace Corps didn’t concentrate only on the poorest of the poor, one has to question what it is still doing in Romania and Bulgaria, two countries that have already become members of the European Union. One might also ask why there is approximately one volunteer sent to Tonga for every 3,800 Tongans but only one sent to Tanzania for every 245,000 Tanzanians. Or what the logic is of having one volunteer for every 2.5 million Mexicans when tens of thousands of Americans live in Mexico, millions of Mexicans live in the United States, and the two countries are among each others’ largest trading partners. The reason, in many cases, is that someone simply decided on a number and no one asked if it made much sense. Of course, closing a program in one country and transferring its resources to another requires explanation and large expenses, and is often resisted by the State Department and by zealous, vocal former volunteers who hate to see programs in their countries shut down. Some will argue that wherever there are poor people the Peace Corps has a role. But with the Peace Corps’ 8,000 volunteers spread out across more than 70 countries, giving each one such a small presence guarantees that no one can say with any authority if the agency is making a difference or not. Indeed, if the Peace Corps were as successful at development as its literature and many volunteers and staff members attest, one would expect other organizations and scholars to cite it as a model. Yet pick up any of the recently popular books on development by Paul Collier, William Easterly, or Jeffrey Sachs, and you won’t find a single reference to the Peace Corps. Tony Blair’s 464-page Commission for Africa report? Not a word. “Beyond Assistance,” the 215-page report of the HELP Commission on foreign-assistance reform? Just three passing mentions. The reason the Peace Corps is overlooked as a development organization has a lot to do with the youth and inexperience of the majority of its volunteers. Equally important is its unwillingness to decide if it is a development organization or an organization with a mission “to promote world peace and friendship,” as stipulated by Congress in the Peace Corps Act. It would like to be both, but finds itself falling short on both objectives because it cannot decide which is the more important. Many Peace Corps staff and volunteers see development work as a burdensome obligation undertaken only to legitimize the cultural exchange aspects of the agency. But without a focus on economic development and an improvement in standards of living, the Peace Corps is really little more than an extended, government-sponsored semester-abroad program. For applicants, the Peace Corps emphasizes the personal experience, not the volunteer’s development impact. That, of course, is not how the Peace Corps pitches itself to foreign governments, to whom it promises significant technical development assistance—only to provide predominantly recent college graduates who may or may not have any useful skills to offer. The real problem is that the Peace Corps has never done a serious job of evaluating its impact. If it is a world peace and friendship organization designed to “help promote a better understanding of Americans on the part of the peoples served,” then, as a start, it ought to ask the peoples served if they even know which country Peace Corps volunteers come from. If it’s a development agency, then it needs to undertake rigorous measures to assess its impact. Currently, it does neither but rather relies on biannual surveys in which volunteers comment on whether they think they are making a difference. It’s a bit like asking a bunch of doctors how they think they are doing without ever talking to the patients—or even checking to see if they are still alive. Not always. People everywhere almost always get a kick out of hearing a foreigner speaking—or trying to speak—their language. In small villages around the world, a foreigner who can use local parables correctly or dance the sacred traditional dance, or who appears content to sit around the village circle for hours on end, is a curiosity, an amusement. Lifelong attachments can and do grow. In Cameroon, dozens, if not hundreds of times, I was asked what had become of so and so, a volunteer who had served 30 or even 40 years earlier. I loved that many people had such fond memories of volunteers. For better or worse, people often loved “their” volunteers as much for the volunteer’s willingness to buy rounds of drinks as for any concrete thing he or she might have achieved. But just as often, people were disturbed by volunteers who had set terrible examples by abusing drugs or alcohol or violating cultural sensitivities and professional norms. The Peace Corps strives to represent the diversity of the American population, but in casting its net wide, it scoops up many who represent less than the best American traditions of dedication, persistence, creativity, optimism, and honesty. Like any large organization, the Peace Corps has its share of deadbeats, philanderers, parasites, gamblers, and alcoholics. The problem is that the agency sends these people tens of thousands of miles from home and expects them to work responsibly with minimal supervision. Disasters logically result. The Peace Corps is remarkably effective at cleaning up the messes those volunteers make and getting them back to the United States before local authorities step in. What’s less clear is the Peace Corps’ overall impact on people’s impressions and understandings of the United States. Does the goodwill generated by the small minority of great volunteers outweigh the indifference or outright hostility caused by the mediocre or truly sinister ones? The agency doesn’t know, because it doesn’t ask. Nope. The Peace Corps has plans, not a strategy. A strategy implies a conclusion, a final goal. The Peace Corps has none. In Washington, plans are already underway to celebrate the agency’s 50th anniversary in 2011. Celebrating half a century of existence ought to be a dubious benchmark for any development organization, particularly one that actively encourages its volunteers to “work themselves out of a job,” yet has no plans for doing so itself in any of the more than 70 countries where it is currently active. The Peace Corps is unable to do this because it never has had any benchmarks to signal when the mission has been accomplished. In Cameroon, volunteers are still teaching math and science, the job they originally came to do in 1962. This was a situation I tried but failed to change because the placing of volunteers in the field was more important to the Peace Corps than questioning whether the Cameroonian government had failed to do its job by not training and hiring adequate numbers of local teachers over a period of more than four decades. In any case, doing the same thing for 46 years ought to indicate that something is broken, something the Peace Corps is unlikely to fix. A serious development organization would either not allow such a situation to persist or would refuse to abet it. Dream on. Today, the Peace Corps remains a Peter Pan organization, afraid to grow up, yet also afraid to question the thinking of its founding fathers. The rush to fulfill John F. Kennedy’s 1960 campaign pledge was such that the Peace Corps never learned to crawl, let alone walk, before it set off at a sprinter’s pace. The result is a schizophrenic entity, unsure if it is a development organization, a cheerleader for international goodwill, or a government-sponsored cross-cultural exchange program. In any case, the Peace Corps tries to do too many things in too many places with too few people to really get much of anything done at all. Despite these inherent faults, the Peace Corps is probably one of the least-expensive development agencies ever created. Supporting a volunteer in the field costs just $41,000 a year, including overhead. That’s about $12,000 less than a year’s worth of tuition, room, and board at Georgetown University’s School of Foreign Service and a small fraction of the cost of supporting a single American diplomat or USAID worker in a developing country. The agency has long prided itself on doing more with a dollar than most other development outfits. Peace Corps Press Director Amanda Beck estimates that the agency’s direct expenditures per volunteer are actually only $3,000 a year. But if that is the case, one then has to wonder what the Peace Corps is doing with the other $38,000 it spends per year for each volunteer. However you count it, the agency’s relative leanness says more about the lack of significant results in the development business than it does about the Peace Corps’ cost effectiveness. Based predominantly on the life-changing experiences volunteers had while serving, the Peace Corps continues to generate strong support from the American people. But for the agency to approach its potential, deep, substantive changes must be made. 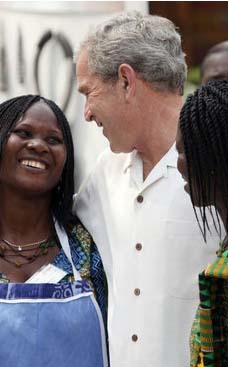 Sargent Shriver, the agency’s first director, recognized that a “Peace Corps, small and symbolic, might be good public relations, but a Peace Corps that was large and had a major impact on problems in other countries could transform the economic development of the world,” according to former Pennsylvania Sen. Harris Wofford. Because the Peace Corps has tried to be all things to all comers, that grand vision has never been realized or even approached. To become effective and relevant, the Peace Corps must now give up on the myth that its creation was the result of an immaculate conception that can never be questioned or altered. It must go out and recruit the best of the best. It must avoid goodwill-generating window dressing and concentrate its resources in a limited number of countries that are truly interested in the development of their people. And it must give up on the risible excuse that in the absence of quantifiable results, good intentions are enough. Only then will it be able to achieve its original objective of significantly altering the lives of millions for the better. Robert L. Strauss has been a Peace Corps country director, recruiter, consultant, and volunteer. He is a recipient of the State Department’s Meritorious Honor Award and lives in Madagascar, where he runs a management consulting company. 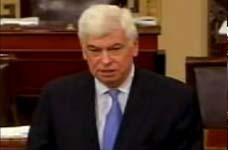 He can be reached at RobertLStrauss@hotmail.com.